The International Forum “Pipes 2018” held recently in Chelyabinsk, the metallurgy capital of Russia, gathered representatives from 11 countries including Japan, Germany and the USA to discuss the latest trends and developments in the Russia’s pipe industry. The high interest is no coincidence. In the last 15 years the industry has undergone major changes and transformations, and can now be called as one of the most competitive in the world. The rapid development was driven by strong domestic market growth and high investments transforming the outdated pipe mills and industrial complexes into global enterprises. The new gas pipelines such as Nord Stream heading to Germany or Power of Siberia, a mega project determined to deliver gas to China, generated demand and created investment opportunities. In the early 2000s, the domestic market for LDP (large diameter pipes) used in gas pipelines was dominated by imports, as the local producers were not able to deliver the innovation and the quality requested by Gazprom and other leading oil&gas companies in the country. Meanwhile, the pipe manufacturer such as ChelPipe or TMK could not only increase their share to almost 100% in the home market, but they also actively establish their footprint abroad. 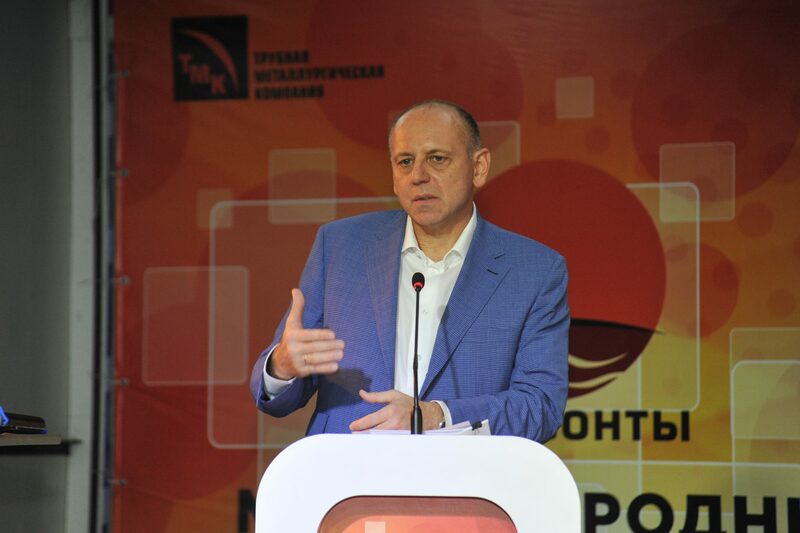 TMK’s Chairman, Mr Pumpyansky, stated in his address to the forum audience that in the last two decades over $12 billion of private investments were spent for the construction and modernization of pipe production capacities in Russia, an amount only comparable with China’s spend in the same time period, but with the difference that China pushed the development of its pipe industry with state money. In his words, a key factor has been the close cooperation between the pipe manufacturers and the main consumers. The sanctions against Russia turned to be a catalyst for this development, as the state-owned Gazprom as well as other companies accelerated their effort to purchase “made in Russia” products – moreover it was declared as procurement policy. 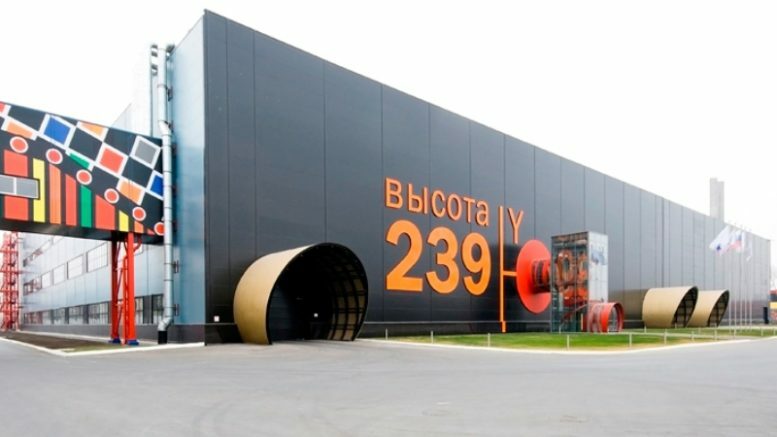 A showcase illustrating the industry transformation is the pipe mill Vysota239 launched in Chelyabinsk some years ago, the probably most prominent example of ChelPipe’s greenfield projects with an investment of $880 million. 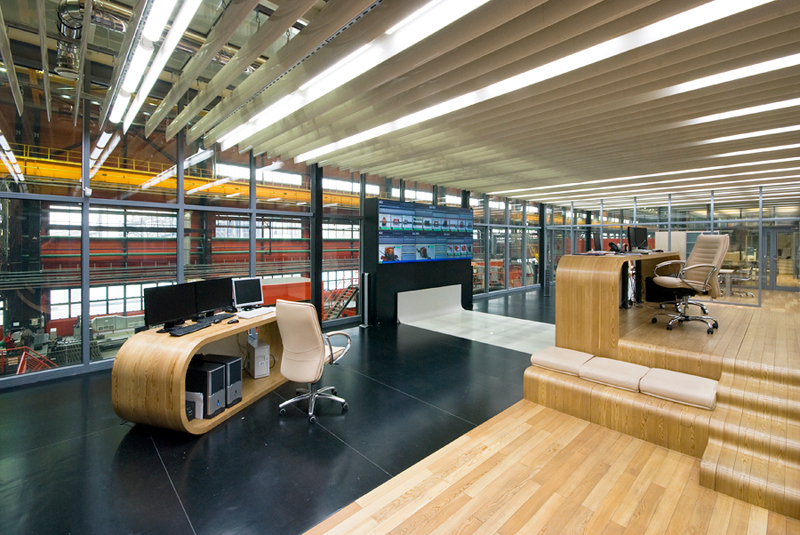 The mill is equipped with state-of-the-art machines from the German SMS Group, linked to form an extremely modern process chain. It puts ChelPipe in the position to meet all current and future market demands. The Chief Project Officer of Nord Stream 2 AG, Henning Kothe, commented in June 2018: “We are highly satisfied with the performance of ChelPipe. The company fulfilled all its contractual obligations on time and in accordance with the highest quality standards”. 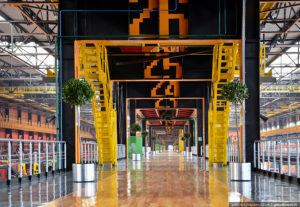 By the way, Vysota239 was also recognized by CMMS Software Insight as one of the most beautiful factories in the world, right behind Volkswagen’s Transparent Factory and BMW’s Central Building in Leipzig. Another example is the aforementioned TMK, meanwhile a global player with eight plants in Russia and Kazakhstan, thirteen in North America (thereof twelve in the US), four in Europe and one in Oman. Jens Bohlmann, representative of German Eastern Business Association, describes in an article his impressions from the visit of a TMK’s pipe mill located not far from Yekaterinburg as following: “TMK is another example of what I have recently noticed in several other Russian enterprises: the companies are competitive, internationally positioned and excellently managed. 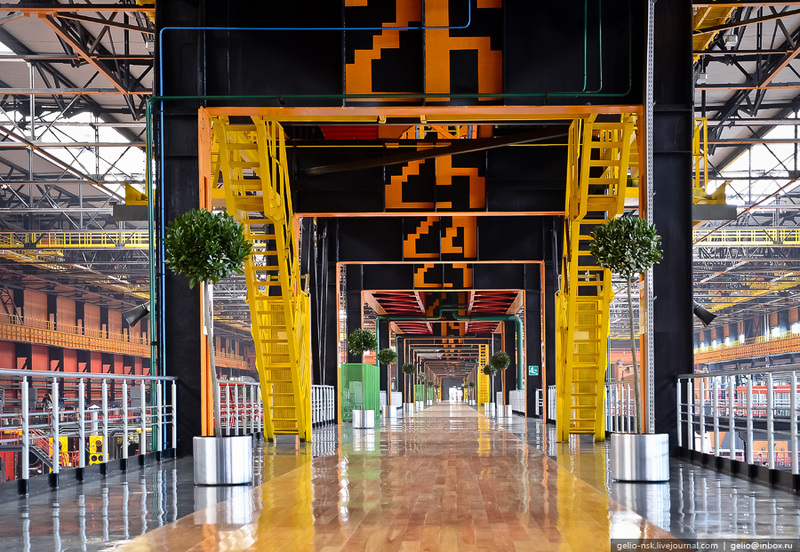 The owners have turned an industrial complex from the Soviet era into a global enterprise. Including social responsibility, the company supports local infrastructure and public life as well as leisure facilities. Environmental standards are at an European level, and even sustainability, safety and worker codetermination are not unfamiliar terms here. And most I was impressed by the employee’s pride in “their” factory. This kind of thing was known earlier in Germany from “Opelaner” (Opel worker), the coal miners in the Ruhr area or the AEG’s employees, and sometimes even from the staff of Air Berlin”. “There’s really nothing we could do better. The production is at the same technological level as in Germany”, says a German manager, both appreciative and frightened. The same applies to emerged pipe manufacturers. In 2017, 11.4 million tons of pipes were produced in Russia, an increase of 9% compared with 2016. Beyond the LDP, the drivers were OCTG pipes (+ 12%, up to 2.3 million tons), industrial pipes (+ 14%, up to 0.9 million tons) and pipes for construction and utilities (+ 9%, up to 4,1 million tons). Over 80% of the production went to domestic markets or international projects with the participance of major Russian oil&gas companies. The data for 2018 are not available yet. The Forum participants see a mixed outlook for the the Russia’s pipe industry, with positive and negative factors. On the plus side is the moderate growth of the domestic market forecasted at 1.7% for 2018 as well as the availability of modern production facilities and R&D competences for the development of new innovative pipes. The major negative factors are the production over-capacities created in the past years, and an increasing level of protectionism in international markets making the exports beyond the country’s border more difficult. In the video below, a Dutch engineer from Nord Stream 2 AG talks about Vysota 239.